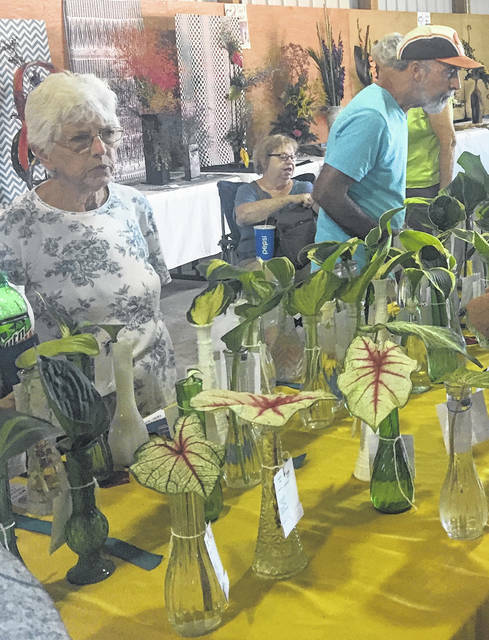 Class 121: Coleus, one cut stem — 1st Joy Bentley; Elizabeth Harris; 2nd Elizabeth Harris, Elizabeth Harris; 3rd Joy Bentley, Pat Harris; Class 122: Basil, any variety, one cut stem — 1st Stephanie A. Rife; Pat Harris; 2nd Joy Bentley; 3rd Pat Harris; Class 124: Yarrow, any variety, one cut stem — 1st Joy Bentley; 2nd Sheila Curtis; Class 125: Echinacea, any variety, one cut stem — 1st Stephanie A. 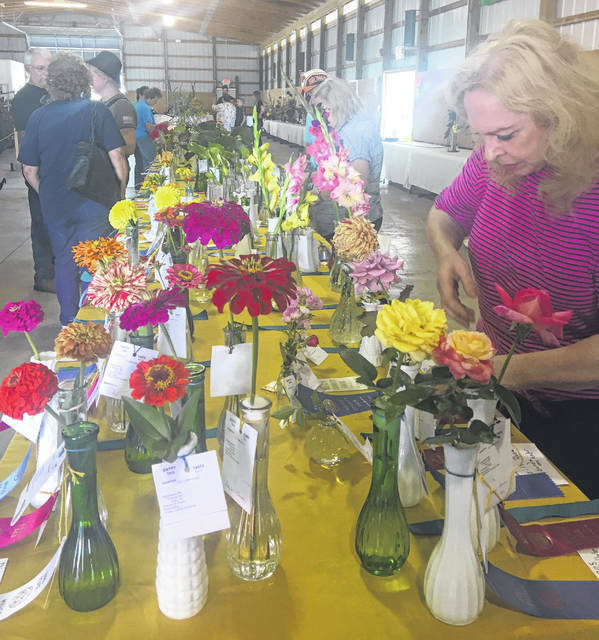 Rife; 2nd Deborah Mohler; 3rd Joy Bentley; Class 126: Oregano, any variety, one cut stem — 1st Sheila Curtis; 2nd Stephanie A. Rife; 3rd Pat Harris; Class 127: Mint, any variety, one cut stem — 1st Joy Bentley; 2nd Brenda Woodrow, Racine; 3rd Danny Carter; Class 128: Any other culinary herb, one cut stem — 1st Joy Bentley; 2nd Joy Bentley; 3rd Pat Harris; Class 131: Zebra Grass, one cut stem 24-30” — 1st Danny Carter; 2nd Joy Bentley; 3rd Carol A. Carter; Class 132: Any other grass, one cut stem 24-30” — 1st Joy Bentley; Carol A. Carter; 2nd Stephanie A. 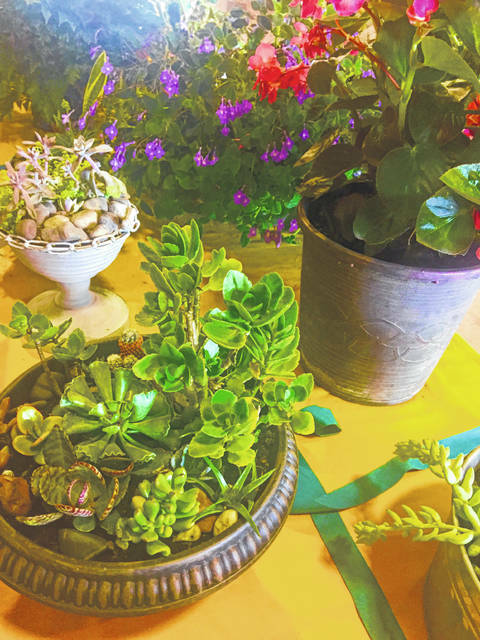 Rife, Joy Bentley, Peggy Crane; 3rd Danny Carter; Class 133: Any other perennial, round form bloom, one stem — 1st Sheila Curtis; Class 134: Zinnia ‘Queen Lime Orange’, New variety — 1st Joy Bentley; Class 135: Any flowering shrub, one bloom or spray — 1st Sheila Curtis; 2nd Deborah Mohler; 3rd Joy Bentley.